Just a couple more layers to the olson-olson ena onion. Thanks in advance for observing, spreading, & following us on your choice of social media. 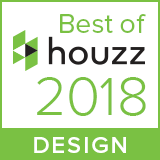 - Best of Houzz 2018, Design, please follow us! - Best of Houzz 2016, Service, please follow us! - Our custom faucet collection nominated for Interior Design Magazine's Best of Year 2015. Crafted by Sun Valley Bronze and available for great projects around the world!